New Zealand is an Annex B (developed nation) signatory to the Kyoto Protocol. While under review, the New Zealand Government has implemented The New Zealand Emissions Trading Scheme (NZETS) to manage its obligations under the Kyoto Protocol. The scheme is sector-based with differing timeframes for entry. The point of obligation (mandatory responsibility) of any sector is the top of the supply chain, .i.e., the fuel importer rather than the transport operator. The unit of trade is the New Zealand Unit (NZU). 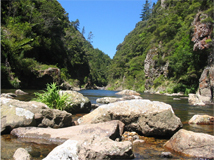 The first sector to be included in the NZETS was forestry. Entry is voluntary, and opting in requires the forest owner to be responsible for their carbon stock, both in terms of credits and liabilities. NZUs are transferable to Assigned Amount Units (AAUs) for sale offshore. The Permanent Forestry Sink Initiative (PFSI) is another New Zealand Government scheme that operates alongside the NZETS. Landowners sign a covenant over land for the creation of new forests where harvesting is not allowed for 35 years. Limited harvesting is allowed after that period, but the canopy cannot be impaired. Landowners are offered AAUs is return for setting aside land for this purpose. AAUs also come to market via this scheme. The flexible mechanism of the Kyoto Protocol has facilitated Joint Implementation Projects (JI) – examples being landfill methane capture projects and wind farms for electricity generation. These projects produce Kyoto compliant Emission Reduction Units (ERUs) and various grades of Voluntary Emission Reductions (VERs), including Gold Standard units. There is also scope for JI forestry projects, producing Removal Units (RMU). 2) an offset agent on smaller volumes for small to medium sized businesses, households and individuals. It’s very easy to overcomplicate things, so we’ll try and demystify what a carbon credit (or offset) is in a few words. Imagine you boil your jug to make a cup of tea. The energy used to boil the water – in this case electricity – has to be generated somewhere: let’s say in an oil-fired plant. Burning the oil to generate the electricity for your tea creates carbon emissions, or a carbon deficit. For arguments sake, let’s say the carbon emitted was 1 tonne. To balance the carbon ledger, these emissions have to be compensated for, or offset, by purchasing a carbon credit of 1 tonne. How are these carbon credits created? Well, the electricity generator above decides to build a wind farm to mitigate emissions. Now, wind is used to generate electricity rather than oil. The power company applies to an international verifier that agrees – yes, you have reduced carbon emissions because instead of oil, you are now using wind to generate electricity. 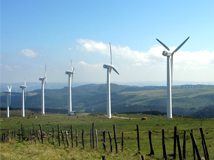 The power company is awarded credits for completing this process which they can sell on the open market, making the wind farm project financially viable. Hence, when you buy a carbon credit you are actually helping to pay for projects like wind farms. There are many different types of carbon credits depending on the type of project and the verification process, and we are happy to guide you in making the most appropriate decision for your business. In the example above, I boiled my jug, bought the credit, and the carbon ledger was balanced, but didn’t the electricity generator still emit from the oil-fired plant? Yes, and that’s what Carbon South is all about. We want you to consider buying carbon credits to offset unavoidable emissions, but the most important thing is to quantify where you are now, set a baseline and embark on an emissions reduction programme. Don’t boil the jug so often! !